Our optometrists in Merritt Island & Rockledge, FL take the time to explain the results of your eye exam, describe your options and listen to your eye care needs. Because maintaining good eye health is an ongoing partnership, we encourage you to ask questions and share your health information, which could be vital to monitoring, diagnosing and treating potential vision problems. Dr. Curington is a Brevard County native and attended the University of Central Florida. He received his Doctorate of Optometry from Nova Southeastern University College of Optometry with internships at the prestigious Bascom Palmer Eye Institute. Dr. Curington has been in private practice serving Brevard County since 2000 and in 2017 expanded to Merritt Island by acquiring the practice of Dr. Mitchell Nass. He provides full scope optometric care including eye exams, contact lens fitting and the diagnosis and treatment of ocular disease. Dr. Curington is very dedicated to his profession having served on multiple committees and holding elected positions within the local association. He is Oral Med certified, earned the title of Diplomate from the American Board of Optometry and has provided educational lectures on behalf of pharmaceutical companies. Dr. Curington is married with 4 children. They enjoy boating and the Florida Keys. When time allows he also plays golf and guitar. They are members of the Viera Faith Lutheran Church. Dr. Marcia Lusk is a South Dakota native who received her undergraduate degree from South Dakota State University. She is a 2001 graduate of Pacific University College of Optometry in Forest Grove, Oregon. While completing a clinical rotation at the Puget Sound VA, she was able to work with specialists in the areas of glaucoma, cornea, retina, and low vision. Perfecting her clinical skills at Patrick Air Force Base, she developed a true passion for the Florida lifestyle. 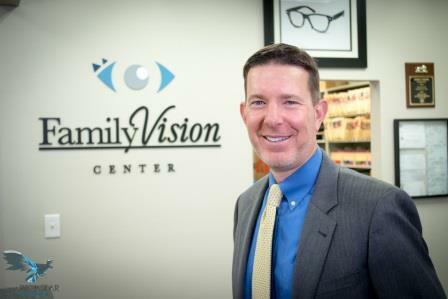 Before joining Family Vision Center, Dr. Lusk practiced optometry in Merritt Island for almost nine years. She developed wonderful relationships with her patients and brings enthusiasm for her profession and her small-town friendliness to Family Vision Center. She provides routine vision examinations and medical evaluations. Multifocal contact lenses fittings are among one of her many specialties. Dr. Lusk is a member of the American Optometric Association, The Florida Optometric Association, and the Brevard Optometric Association. Dr. Lusk is married to her husband, Steve, and they reside in Cocoa Beach with their daughter Stella. They love the water, sports, traveling, and she is also an avid tennis player. Dr. Mitchell Nass is an Optometrist in our new Merritt Island location. Dr. Nass is an Optometry Specialist in Merritt Island, Florida. He graduated with honors from Pennsylvania College Of Optometry in 1982. Dr. Nass has more than 35 years of diverse optometry experiences. Dr. Heather Gauger attended the University of Central Florida and received her Doctorate of Optometry from Nova Southeastern University College of Optometry in 2017. Due to her particular interest in diseases of the eye, Dr. Gauger pursued a residency specializing in Ocular Disease, which she completed in 2018. During that time, she was able to work alongside multiple specialists in South Florida where she further developed a passion for glaucoma, diabetic retinopathy, and other retinal conditions. Dr. Gauger provides medical evaluations as well as routine vision examinations. She strives to provide the best care for her patients by utilizing her extensive knowledge of disease partnered with her gentle demeanor and genuine concern for her patients. She is a member of multiple optometric associations, including the American Academy of Optometry in which she is currently pursuing a Fellowship. Dr. Gauger is thrilled to join the Family Vision Center team and as a Brevard County native, she is very happy to be back in her hometown. Dr. Gauger is engaged to be married next year to her fiancé Adam and enjoys spending time with family, friends, and cat Charlie. 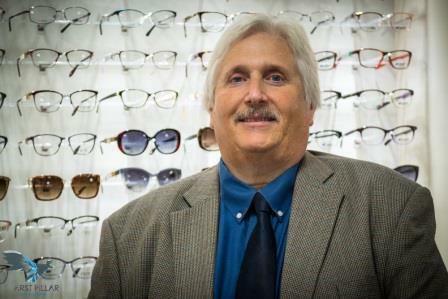 Jerry is a Board Certified Optician and has been Florida licensed since 1986. He has been with Family Vision Center since 1994 and is a highly-skilled professional who has provided quality eye care to Brevard County residents for over 30 years. 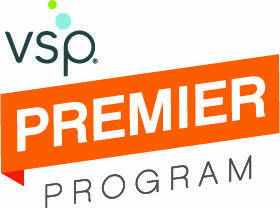 Certified by the American Board of Opticianry, National Contact Lens Examiners and the Professional Opticians of Florida, Jerry is an approved lecturer and provides continuing education hours to fellow Opticians. 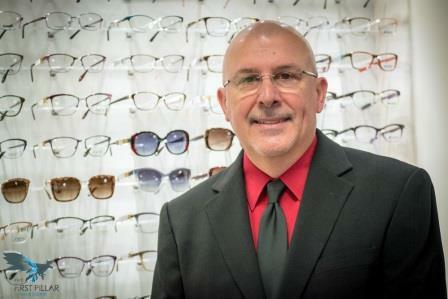 Additionally, he serves as the President of the Professional Opticians of Florida (POF) and the Director of the Space Coast Chapter of POF. Jerry enjoys spending his free time with his wife and family traveling, running, biking, fishing and enjoying life in the Sunshine State. Mary is a Board-Certified Optician and has been licensed in the state of Florida for 29 years. She also has certifications from the American Board of Opticianry and the National Contact Lens Examiners. She is a long-standing member of the Professional Opticians of Florida (POF) and has served on both the local and state board of directors. Mary is a progressive lens fitting specialist holding certificates from Hoya, Varilux, and Zeiss. Additionally, she is a frame fitting expert. Mary enjoys cooking, crafts, good books, but most of all spending time with her family. 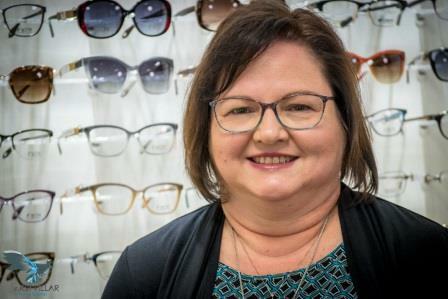 Jolene began her career in Opticianry in 1994. 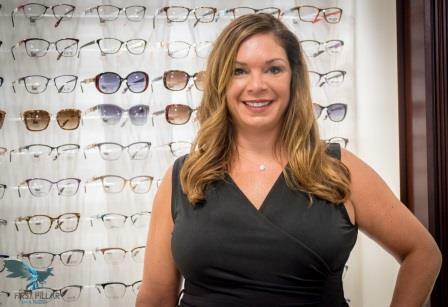 She gained the American Board of Certification, National Contact Lens Examiners Certification, as well as her Florida State Opticianry License. 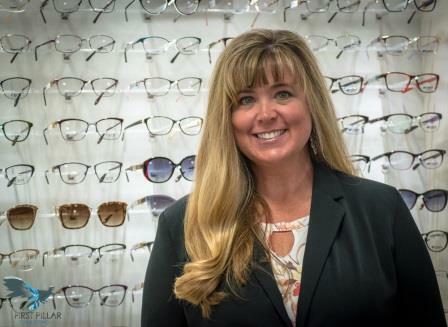 Jolene is a long-standing member of Professional Opticians of Florida and has worked in Brevard County since 1996. 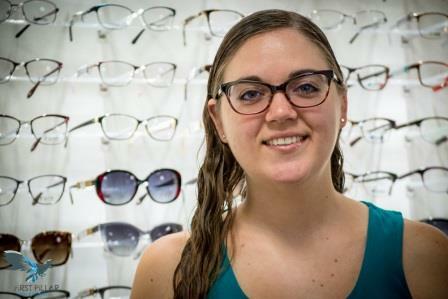 Specializing in custom optics and fashion design, Jolene is here to take care of and assist with any unique optical needs you may have. Jolene’s interests outside of work include spending time with her husband and two sons. Camping, furniture restoration, and singing karaoke also occupy her free time.